Preschool children seem to learn best when given routine and consistency. 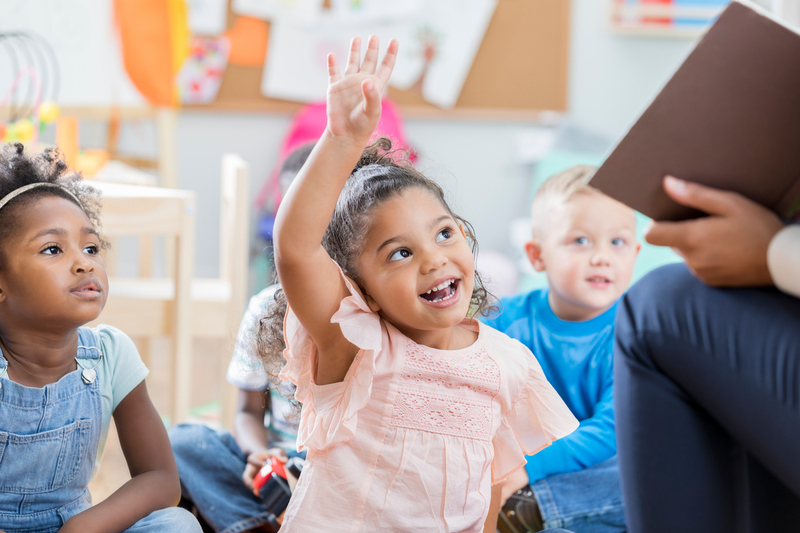 Children with a diagnosis of developmental language delay (DLD) are no exception, and may even need the routine and consistency more than their peers. Collaboration among all adults who interact with any child, but especially a child with DLD, helps create crucial consistency. When collaborating with other professionals and parents, I find it helpful to share the strategies I use with these children. I created a mnemonic device that parents and teachers can use in any setting. Keeping the strategies short, simple and easy to remember increases the likelihood of use. I make sure any adult, from educators to caregivers, can implement the strategies. And the more people in the child’s life who use them, the better! S: Slow down (your speech). Children with DLD need extra time to process speech and language. If you speak too quickly, they miss information. M: Emphasize key points (see what I did there?). Children with DLD need support with receptive language skills. If you add emphasis, this helps clue them into the critical words and important information. A: Add a visual, gesture, or cue. Children with DLD benefit from extra hints and visual aids. R: Repeat instructions, two or three times. Repetition of verbal stimuli is highly beneficial for children with DLD. T: Time needed to respond is longer. Children with DLD need extra time to formulate their responses, so we must be patient with them. Provide an opportunity for the student to give the instructions or directions or make up the rules during an open-ended game. This role develops creativity while boosting expressive language and pragmatic skills. Many children love to “play teacher” and this activity decreases pressure. Following the child’s lead also builds rapport with the child. Use curriculum-related vocabulary informally—during other activities or in stories—before presenting the words in class. This strategy helps students gain familiarity and increase understanding of the definition. It also creates the opportunity to discuss the vocabulary and ask questions. Children with DLD benefit from repeated exposure—so review, practice and repetition of vocabulary helps them retain the words. Unstructured or opened-ended activities give children the chance to show generalization of skills. Intentional silence allows a child to initiate interaction. It also gives the opportunity to demonstrate other skills or areas of need. Preschool children with DLD benefit from consistent use of individualized strategies. I first figure out which strategies work best for the child. Then I share them by collaborating with parents/guardians, teachers and other professionals to help build uniform expectations. In my experience, teachers often ask for suggestions on how to support students with language delays in class. This is a great way to begin the conversation. Be SMART with collaboration.